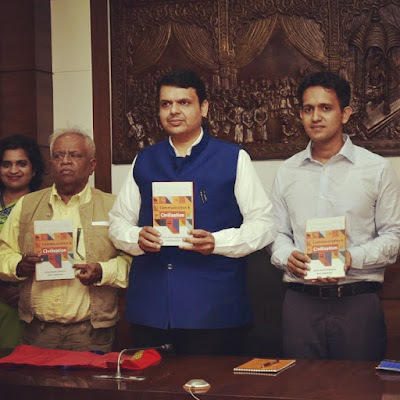 The Honorable Chief Minister of Maharashtra, Mr. Devendra Fadnavis, unveiled an academic textbook 'Communication & Civilization’ authored by Mr. Jayraj Salgaokar and Mr. Amit Chatterjee. The book release function was held at Varsha, the Chief Minister’s official residence Mumbai. The Chief Minister, who is well acquainted with both the authors, appreciated the years of efforts that went into the creation of this book. The book, Communication & Civilization, describes human race’s hunger for knowledge and the journey of communication from stone tablets to phone tablets and beyond. The book aims to provide layered information & analysis in a simplified manner for students in the field of media and communication. The book has been jointly authored by Mr. Jayraj Salgaokar, an economist and the co-founder, Editor and Publisher of the popular publication 'Kalnirnay'. The other author, Mr. Amit Chatterjee has extensively worked on digital media in Mantralya and presently focuses on smart cities with Silicon Valley-based enterprise ‘Array Networks’. The book has received forewords from Union HRD Minister Prakash Javadekar and ICT & Law minister, Ravi Shankar Prasad respectively. The Vice Chancellor of Mumbai University, Mr. Sanjay Deshmukh has written an introduction for the same. The book has been published by the Delhi based Kautilya Books and is available on Amazon and Crossword for purchase. 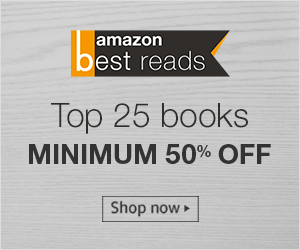 You can know more about the book at www.civilcommunication.org and to read the complete book review visit Book Review : Communication & Civilization - Jayraj Jayant Salgaokar & Amit Chatterjee.